The 511 is ideal for absolute pressure compensation during flow velocity measurements with a Pitot tube, for example. By entering the altitude above sea level, this is converted into barometric air pressure. 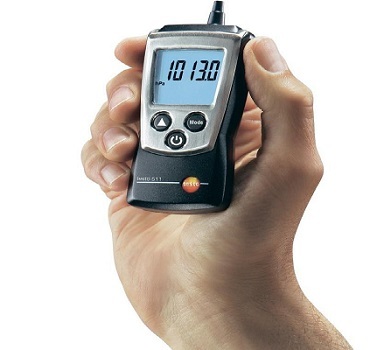 The Testo 511 digital manometer measures absolute pressure from 300 to 1200 hPa to an accuracy of ±3 hPa. Pressure measurement between two points is also possible. The eight switchable pressure units offer the user highest flexibility in measurement. 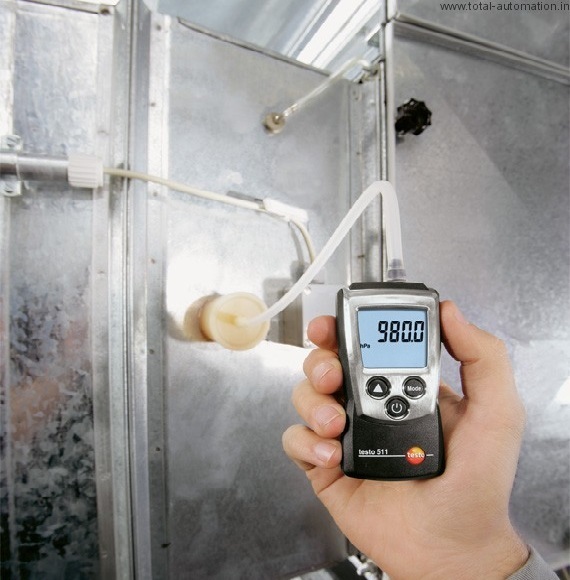 The 511 has an operating temperature range from 32 to 122°F. The meter operates on 2 AAA batteries with an expected battery life of 200 hrs.